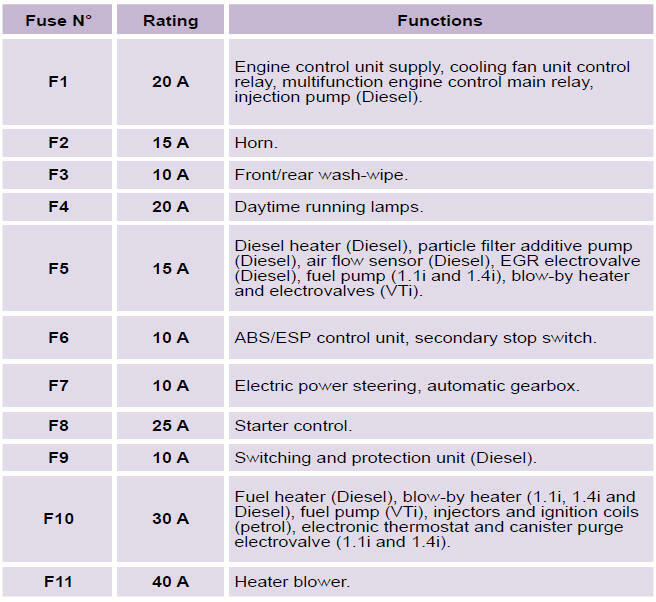 Procedure for replacing a faulty fuse with a new fuse to rectify a failure of the corresponding function. 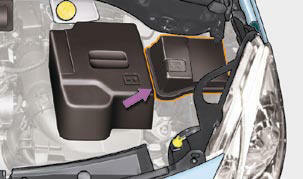 The extraction pliers and the spare fuse storage locations are fi tted to the back of the dashboard fusebox cover. 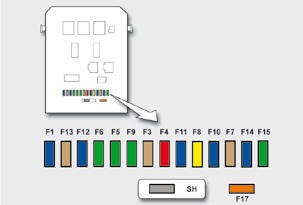 Before changing a fuse, the cause of the failure must be identifi ed and rectifi ed. 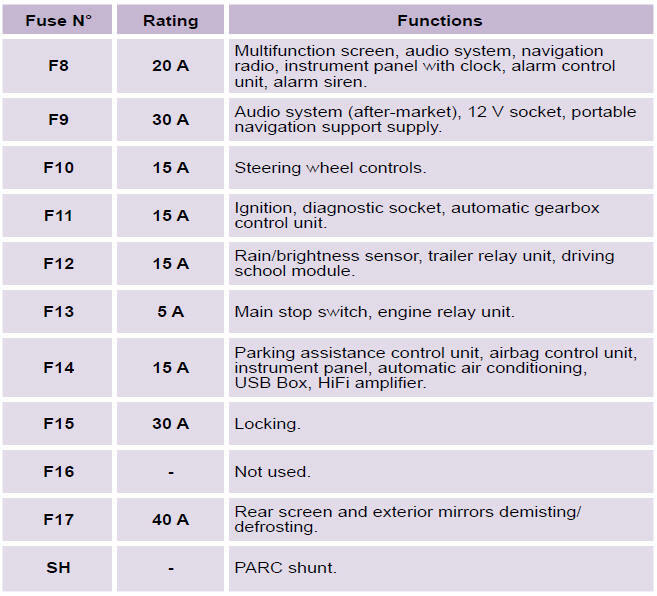 Identify the faulty fuse by checking the condition of its fi lament. Use the special pliers to extract the fuse from its housing. 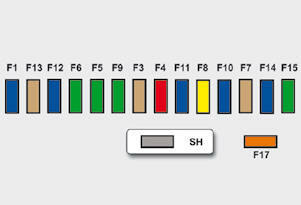 Always replace the faulty fuse with a fuse of the same rating. Check the correspondence between the number etched on the box, the rating etched on the fuse and the tables below. 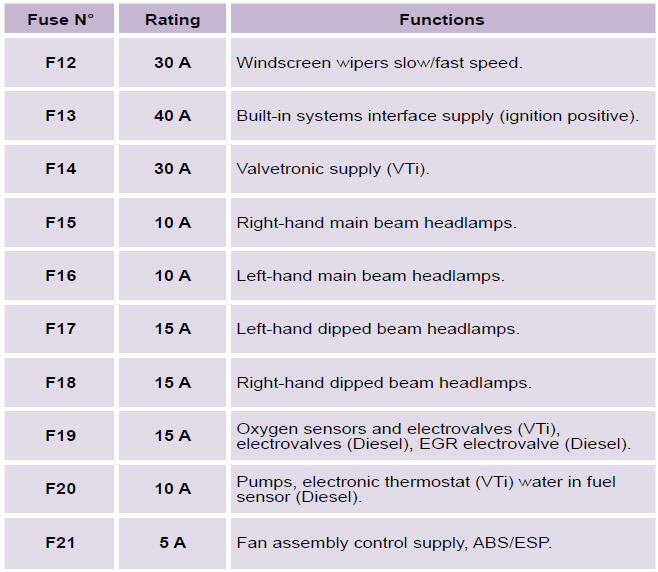 Your vehicle’s electrical system is designed to operate with standard or optional equipment. 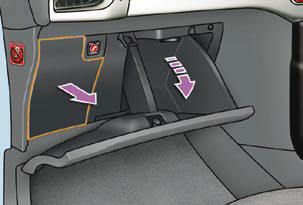 Before installing other electrical equipment or accessories on your vehicle, contact a CITROËN dealer. 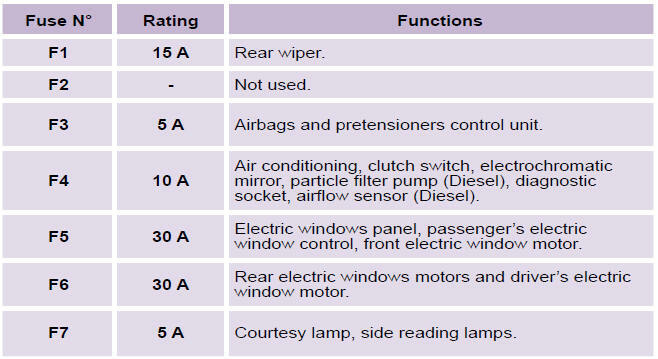 CITROËN will not accept responsibility for the cost incurred in repairing your vehicle or for rectifying malfunctions resulting from the installation of accessories not supplied and not recommended by CITROËN and not installed in accordance with its instructions, in particular when the combined consumption of all of the additional equipment connected exceeds 10 milliamperes. 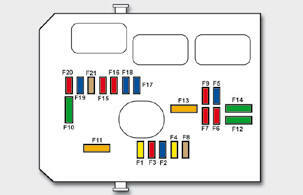 The fuse box is placed in the lower section of the dashboard (left-hand side). When you have fi nished, close the cover carefully to ensure the sealing of the fuse box. 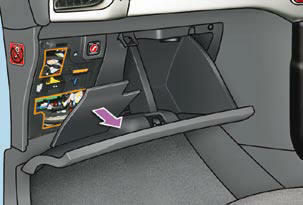 * The maxi-fuses provide additional protection for the electrical systems. All work on the maxi-fuses must be carried out by a CITROËN dealer.